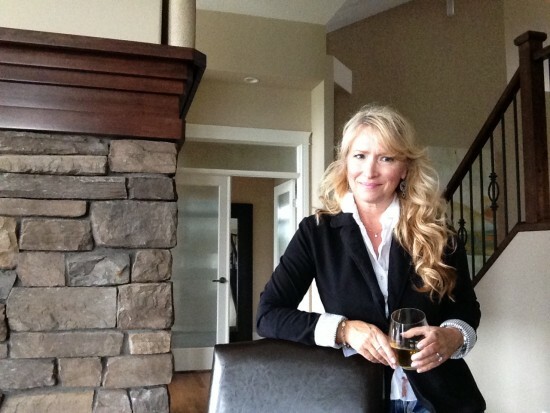 Tinhorn Creek Vineyards is pleased to announce the appointment of Goldie Strate as their new Alberta Sales Manager. Starting June 1, she will be joining the team on a full-time basis and will be working closely with Trialto, Tinhorn Creek’s sales agency. Goldie will be an integral and leading force in helping to drive sales, provide brand leadership, and spearhead promotional initiatives and marketing strategies for Tinhorn Creek wines throughout the province of Alberta. Goldie brings with her almost two decades of knowledge of the Alberta wine, beer and spirits industry. For the previous nine years she has worked for Andrew Peller Limited in a variety of roles such as Alberta Key Accounts Manager, License Sales Manager, and Territory Account Manager. There she focused on increasing distribution points, growing individual channels and collaborating with Western Canada and National Key Account managers. Some of her key accounts included: Fairmont Hotels, Westin Hotels, Moxie’s & Chop Restaurants, Calgary Stampede, Calgary Flames, and the Edmonton Oilers. She also studied Business Administration and Management at the University of Alberta and UBC, and holds a WSET (Wine and Spirits Education Trust) Advanced Level III certificate. “As I love the pure, vibrant terroir of South Okanagan Valley, over the past 18 years, I have had the pleasure of representing VQA wines in the province of Alberta”, says Goldie Strate. “I developed my passion for the wine after working in one of the first private Alberta liquor stores as a General Manager and I look forward to bringing new opportunities and growth to Tinhorn Creek wines throughout our province”. When not spending time with her seven grandchildren, boating, camping, biking and skiing; Goldie loves to cruise around the globe with her husband discovering local off-the-beaten path wine and food spots.